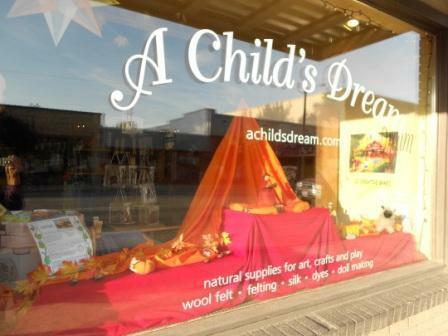 A Child's Dream offers the finest supplies for natural art, crafts, and wonder to nurture the child's sense for life and imagination. Family-owned and operated since 1989 and a trusted source for families and teachers we provide a comprehensive selection of supplies and kits for handwork, art, homeschooling and toy and doll making including 100% wool felt in the best selection of colors, thickness and sizes and a treasure trove of felting supplies, all in one beautiful online shop! Coming from an extensive background in woodworking, handwork and crafts we share with you our love for natural materials and working with one's hands and are committed to providing outstanding service with quick turnaround for exceptionally fast delivery on most orders. All products on our site are stored on our premises where we also have a lovely brick and mortar store. Whether shopping in person or online we sincerely hope our beautiful materials bring a smile to your face and the faces of the children in your life as you craft to make their dreams come true! Please enjoy your visit to our webstore.